So it surprised me when I was able to easily buy something at the mall without all those other factors interfering!! And at the FIRST store I went to! Usually it’s at the 4th of 5th store in, but not this time. VICTORY SCREECH! I’m so proud of myself. When I was younger, I never really liked putting anything on my skin, like tattoos, stickers, makeup, and nail polish. (But then again, I also didn’t like eggs, meat, milk, soda, and chocolate. I was a weird child) But then one day, everything turned upside down, and now I love all of those things! (except for the tattoos, stickers, and soda. I still don’t like those.) I’ve especially taken a liking to nail polish lately. I found these N.Y.C. nail colors at Target, for just 99 cents each! They’re names are 112A-Times Square Tangerine Creme and 105A-Starry Silver Glitter, and they are both long wearing nail enamel. 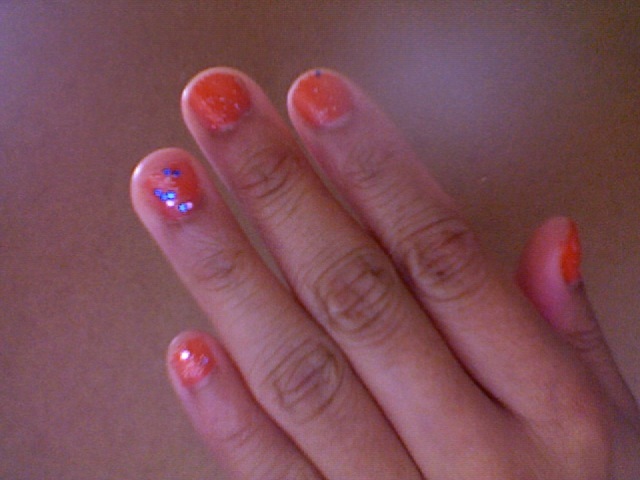 I love to paint the bold and striking tangerine color on first, and then layering the glitter on top. I love how it gives color and interest, and it’s cute and fun! I also got a mini pack of 3 polishes in feminine shades of pink at Forever 21 for $2.50. 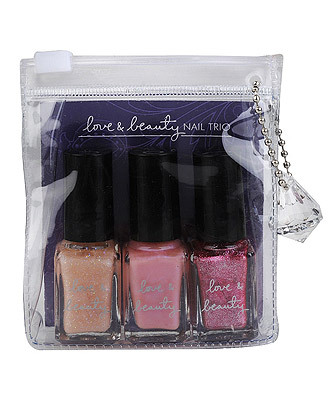 It comes in a tiny package perfect for traveling and a pretty jewel chain that I took off and put on my wallet. 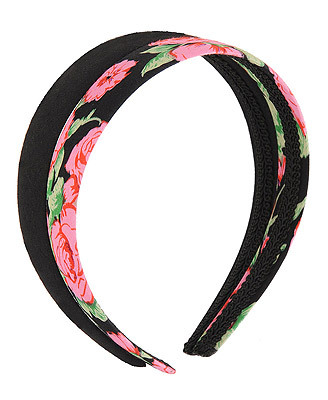 Besides that, I bought a Solid Rose Headband Set at Forever 21 too, because I was tired of my usual dull and black headband. The floral pattern really pops against the black cloth. It comes with 2 headbands, one black and the other floral. This entry was posted in Buys and tagged nail polish. Bookmark the permalink.